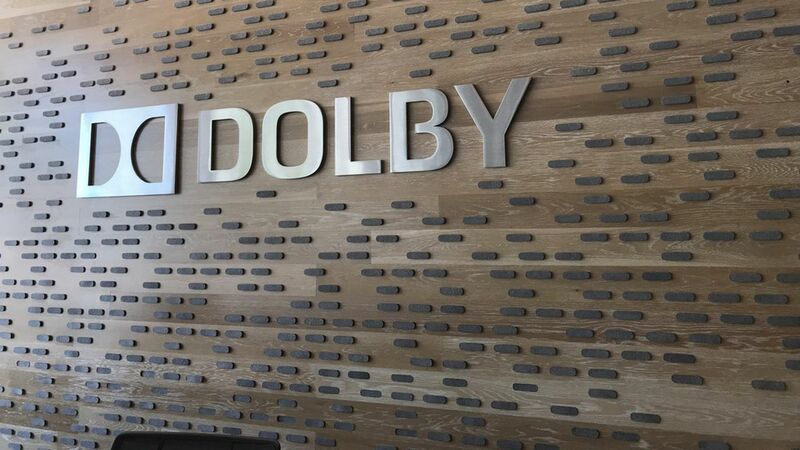 When you think of Dolby, you probably think of technology to make things sound better. And, licensing its technology still accounts for about 80% of the company's roughly $1 billion in annual revenue.However, Dolby also has been working to ramp up its products and services business, which supplies audio and video technology for cinemas and all manner of consumer devices. On Tuesday, the company invited reporters to check out some of its latest efforts at the Dolby headquarters in San Francisco.3 things Dolby is working on that caught my eye:Laptop speakers: Dolby showed its Atmos technology running in a cinema and on fancy home theater products, but I was most impressed by the sound that Dolby managed to cram into a tiny 13-inch Huawei laptop.Outfitting nightclubs and remixing classic albums: Dolby has a new but growing business adding surround sound to nightclubs, having retrofitted London's Ministry of Sound and Chicago's Sound-Bar.Dolby also has worked with Universal Music Group to bring its Atmos technology to Abbey Road to remix the Beatles' "Sgt. Pepper's Lonely Hearts Club." At the media event, Dolby revealed that it has outfitted a studio in Capitol Records in Hollywood and is using the technology on R.E.M. 's "Automatic for the People. "It's unclear how the remix will be distributed. Sgt. Pepper's was played at Dolby Cinemas in the U.S. and Canada so Automatic for the People could get a similar treatment, but in theory Universal could also release it for playback on Atmos-capable TVs via streaming or compatible Blu-Ray players.Not just sound: Dolby is also pushing Dolby Vision, a technology for improved color and dynamic range in TVs. The technology can be found on high-end TVs, but also on a $650 set from China's TCL. "We think we've made as big an impact there as we have on the audio side," Bob Borchers, Dolby's chief marketing officer, says.